The Middle East has often been perceived as a constantly belligerent area, where human life has been held cheap, since the time of despots and tribal wars well to the present. Yet, in fact, the Middle East would be more appropriately seen as a cradle of civilization, where many ideas of human development had their roots, where many technological and scientific concepts were first formulated, and where the goals of preserving and extending human life, even ideas of radically extended longevity, have been pronounced among the earliest. Hopefully, the few examples below will help to see the Middle East not chiefly as an arena of ruthless confrontation, but as it has mostly been – a fertile ground for creativity and pursuit of life. Thus one of the earliest known works of literature is in fact also one of the earliest representations of the pursuit of life, rejuvenation and life extension, and it stems from the Middle East. This is the Sumero-Babylonian Epic of Gilgamesh, a story about the hero’s struggle with death. (The most complete version has been dated from circa 1300 BCE to 650 BCE, but the story possibly originated as early as about 3000 BCE.) According to the Epic of Gilgamesh: “There is a plant like a thorn with its root [deep down in the ocean], Like unto those of the briar (in sooth) its prickles will scratch [thee], (Yet) if thy hand reach this plant, [thou’lt surely find life (everlasting)].”1 The plant has been sometimes likened to box-thorn and dog-rose. There are striking parallels between the description of the immortalizing plant and the story of the extremely long-lived Utnapishtim in the Epic of Gilgamesh, and the biblical stories (with the composition sometimes dated c. 1300 BCE to 450 BCE) about the “tree of life,” the original potential physical immortality of human beings and its loss due to ill will and negligence, as well as about the extreme and admirable longevity of antediluvian patriarchs (Genesis 2:9, 3:22-24, 5:1-32). Also in ancient Egypt, longevity and rejuvenation were celebrated. It may even be argued that many of the pioneering technologies of ancient Egypt, from pyramid construction to embalming and surgery, emerged in the pursuit of life preservation, balance, constancy or immortality. The legendary chief minister to the Egyptian pharaoh Djoser, and the reputed builder of the first step pyramid, Imhotep (c. 2650-2600 BCE), too was said to be skilled in the art of rejuvenation. Also, according to the “Turin Papyrus” and other sources, the ruling periods of Egyptian kings in the first and second dynasty (up to c. 2500 BCE) were allegedly very long (up to 100 years) and the kings’ life-spans were believed to reach into hundreds.6 The vitality and longevity were revered. 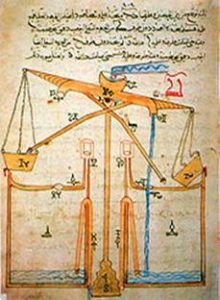 Egypt was also apparently the birthplace of alchemy, aiming at the manipulation of matter generally, and improvement of health and longevity in particular. And alchemy’s growth and maturation took place broadly in the Middle East. The term “alchemy” apparently took root in Europe only in the 12th century, and was apparently borrowed from the Middle East. 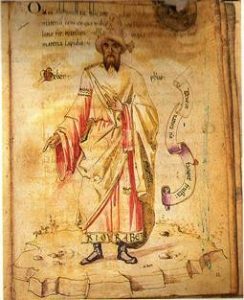 The first European alchemical text was translated from Arabic, presumably by Robert of Chester in 1144 and was entitled Liber de compositione alchimiae (The book of alchemical composition). This was allegedly a translation from Arabic into Latin of an epistle of the Egyptian-Greek-Christian alchemist Marianos to the Arab alchemical adept, the Umayyad prince Khalid ibn Yazid (665-704 CE).8 Also the word “elixir” comes from the Arabic “al-iksir” (dry medicinal powder), as well as many other terms currently found in modern science and born in the pursuits of Islamic alchemists, such as realgar (“raj al-har”), nushadir, alcohol (“al-kuhul”) and many more. 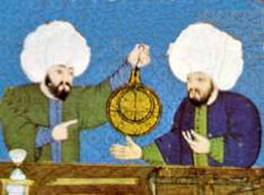 Many Islamic alchemists spoke very explicitly about the possibility of radical life extension, which according to their views did not contain any contradiction with the Koran. Indeed, Islam has been sometimes presented as somehow intrinsically antagonistic to the idea of life extension. Often the story about the “70 virgins” hopefully awaiting the martyrs in Heaven (a loose paraphrase on Hadith 2687) and similar ones are regurgitated, aiming to demonstrate the alleged denigration of this worldly life in Islam. Yet, in fact, Islamic thought has not been inherently opposed to the idea of life extension or even to radical life extension! There are strong currents favoring this pursuit. Thus, the book Al-Imam al-Mahdi, The Just Leader of Humanity by Ayatollah Ibrahim Amini (b. 1925, a foremost Islamic scholar, since 1999 Vice President of the Assembly of Experts of the Leadership of the Islamic Republic of Iran), includes the chapter “The Research About Longevity.” In the chapter, the necessity to pursue longevity research is largely derived from the desire to explain and emulate the remarkable longevity of Al-Mahdi – مهدي – the messianic “Last Imam” who, in the belief of the Twelver Shi’a Muslims (the largest branch of Shi’a Islam) will come to protect mankind and, together with Jesus, will bring peace and justice to the world. These were the words of Dr. Abu Turab Nafisi, Professor and Chair of the School of Medicine, University of Isfahan, Iran, and they were cited approvingly. Thus, clearly, extended longevity is considered as theoretically possible, ethically desirable and practically and scientifically feasible by the Islamic tradition. However, according to Aisha Y. Musa’s article “A Thousand Years, Less Fifty: Toward a Quranic View of Extreme Longevity” (2009), the idea of physical immortality, of a complete defeat of death, would be incompatible with an Islamic view. 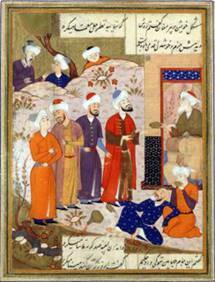 According to the author: “The Qur’an declares unambiguously that ‘whenever you are death will find you,’ and ‘every soul will taste death.’ These verses have always been understood to preclude the possibility of earthly immortality.”13 Still, according to the author, by reinterpreting certain key concepts of Islam, such as Heaven (“Jannah”) and Hell (“Jahannam”) understood not as physical places but as states of the soul; the concept of “the first death” understood not as a transition to unearthly paradise, but as a radical spiritual change in this world (e.g. the death of old and harmful habits); and the notion of Thereafter (“akhira”) understood not as an afterlife but as a new stage of evolution – then even the idea of “practical immortality” (that is to say, not actual, but potential or biological immortality) would be acceptable by Islam. The Epic of Gilgamesh, translated by R. Campbell Thompson, 1928, Tablet 11: The Flood, lines 268-270, “The magic gift of restored youth,” reprinted at Sacred Texts, http://www.sacred-texts.com/ane/eog/index.htm. 3. Ferdowsi, The Epic of Kings, translated by Helen Zimmern, 1883, “The Shahs of Old,” http://www.sacred-texts.com/neu/shahnama.txt. H. Joachim (Translator and Editor), Papyrus Ebers. Das Älteste Buch Über Heilkunde (The Ebers Papyrus, The Oldest Book on Medicine), Georg Reimer, Berlin 1890, pp. 105-107, 43-44. Alan H. Gardiner, The Royal Canon of Turin, Oxford, 1959. For lists of mythical longevity cases, see for example, the compilation: Craig Paardekooper, Records of Human Longevity from Other Nations, 2001, mentioning the Turin papyrus and other sources, http://s8int.com/phile/page44.html; http://saturniancosmology.org/files/kings/turin5.txt. See also the Wikipedia article “Longevity Myths” http://en.wikipedia.org/wiki/Longevity_myths. Alchemy Academy Archive, June 2006, “Diocletian’s Edict against alchemy,” http://www.levity.com/alchemy/a-archive_jun06.html. Alchemy Academy Archive, January 2002, “Maryanus,” http://www.levity.com/alchemy/a-archive_jan02.html. Quoted in Gerald Joseph Gruman, A History of Ideas about the Prolongation of Life. The Evolution of Prolongevity Hypotheses to 1800, Transactions of the American Philosophical Society, Volume 56(9), Philadelphia, 1966, “Arabic Alchemy: The Missing Link?” p. 60. “Alchemy in Ibn Khaldun’s Muqaddimah,” edited and prepared by Prof. Hamed A. Ead, Cairo University, Giza, 1998, http://www.levity.com/alchemy/islam20.html. Ayatollah Ibrahim Amini, Al-Imam al-Mahdi, The Just Leader of Humanity, Ch. 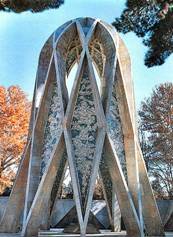 9 “The Research About Longevity,” translated by Dr. Abdulaziz Sachedina, 1996, reprinted at “Al-Islam” – The Ahlul Bayt Digital Library Project, Spring Lake Park, MN, USA – a repository of Islamic cultural resources, https://www.al-islam.org/al-imam-al-mahdi-just-leader-humanity-ayatullah-ibrahim-amini; http://www.ibrahimamini.com/en. “The Long Life Span of Imam Mahdi (A.S.)” Imam Reza, 2012, http://www.imamreza.net/eng/imamreza.php?id=7127. Fereidoun M. Esfandiary (FM-2030), Up-wingers. A futurist manifesto, Popular Library, Toronto, 1977, p. 177. The initial material for this article was presented in Ilia Stambler, A History of Life-Extensionism in the Twentieth Century, Longevity History, 2014, http://www.longevityhistory.com/.